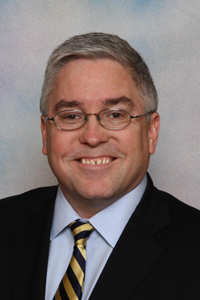 Patrick Morrisey was elected as the Attorney General for the State of West Virginia on November 6, 2012, and was sworn into office on January 14, 2013. Patrick Morrisey is the first Republican to serve as Attorney General in West Virginia since 1933, and as a resident of Harpers Ferry, Morrisey is also the first Attorney General from Jefferson County in our state’s history. Since becoming Attorney General, Morrisey has made fighting fraud, waste, abuse, and corruption a top priority of the Office. Shortly after taking office, he instituted a new policy for hiring outside counsel that has dramatically increased transparency and saved the state more than $4 million. He also voluntarily returned approximately $18 million in monies to the state and has brought in many millions more to state agency clients and consumers. Since becoming Attorney General, Morrisey has made fighting fraud, waste, abuse, and corruption a top priority of the Office. Shortly after taking office, he instituted a new policy for hiring outside counsel that has dramatically increased transparency and saved the state more than $4 million. He also voluntarily returned approximately $16.5 million in settlement money to the state and has brought in several millions to state agency clients. In practice since 1992, Morrisey worked on many high profile health care matters prior to serving as Attorney General, and possesses a broad array of experience on regulatory issues, Medicare, Medicaid, policy, fraud and abuse investigations, legislative matters, strategic counseling, and legal and policy challenges to federal statutes and regulations. Attorney General Darrel McGraw speaks to the ALMBS Citizens. Please click the “read more” icon to view the Attorney General’s Biography.